On Sunday I was informed by Flor rather sternly and comically that I only allow comments on this blog from users with Blogger profiles. Well, I decided that it didn't make sense to only allow nerds to comment on my blog so now I've opened it up to everybody. 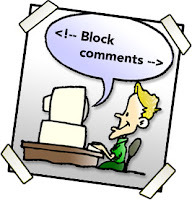 Happy commenting!